The month of Ramadhan is a few weeks away and while it holds plenty of cultural and religious significance for Muslims all over the world, that doesn’t mean the rest of us can’t join in on the festivities. 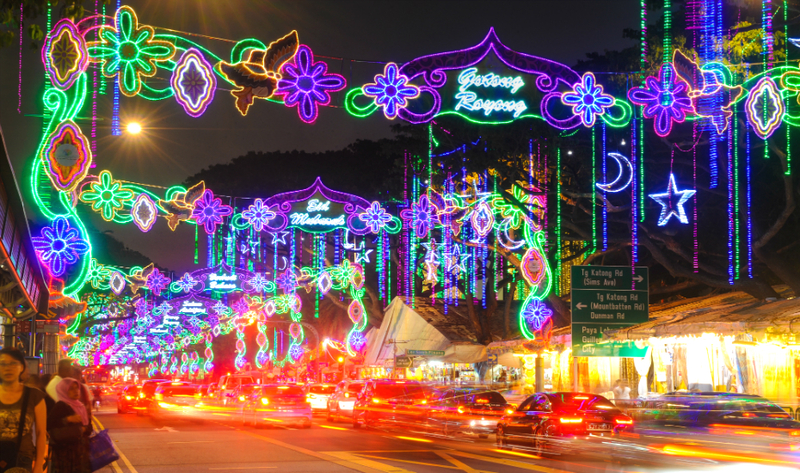 Two cultural events worth checking out every Ramadhan are the annual Hari Raya Light-Up and the Geylang Serai Baazar. This year’s light-up is centred around the cultural and historical aspects of Malay culture. 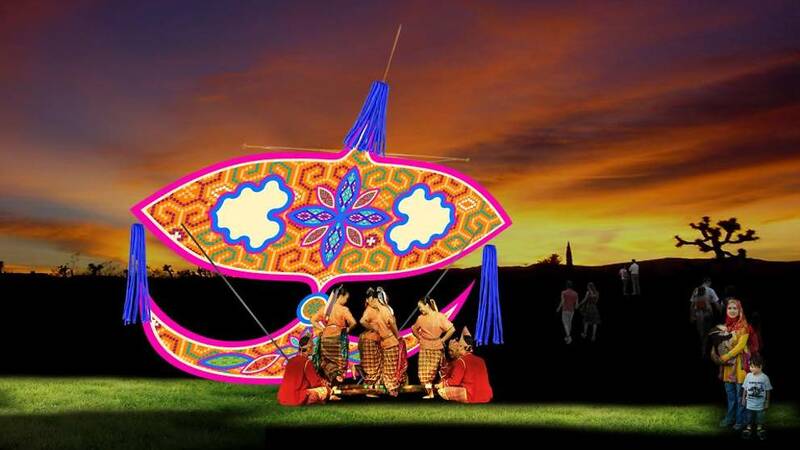 This year’s Hari Raya Light-Up will feature a 4.4-metre-tall wau (a kite originating from the Malaysian state of Kelantan), a stage area formed by a 12-metre-wide sampan and decorated arches standing at 13-meters and 9-metres tall. This year’s light-up stretches over 2.25km, spanning Sims Avenue and Changi Road, and comprises 900,000 LED lights! 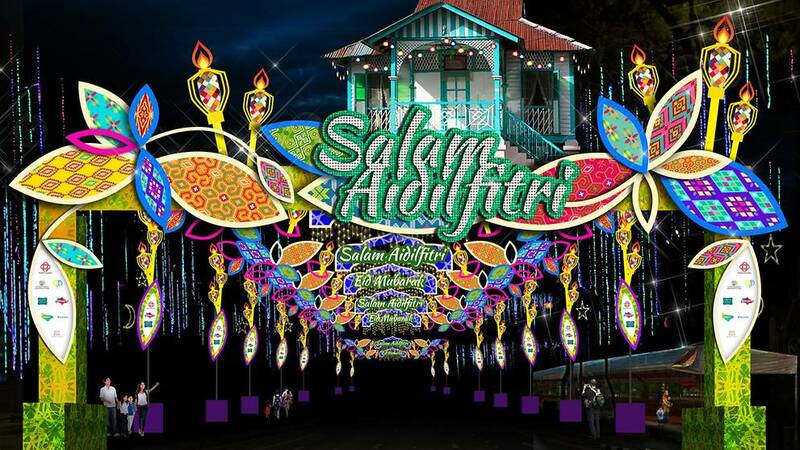 This year’s Hari Raya Light-Up will see the addition of a new, temporary exhibition. Housed in a structure modelled after the weaves of a ketupat, the exhibition serves to educate the public about the history of Hari Raya and of the Geylang Serai area. The Geylang Serai Bazaar is returning with more than 1,000 makeshift stalls selling both traditional and fusion snacks. 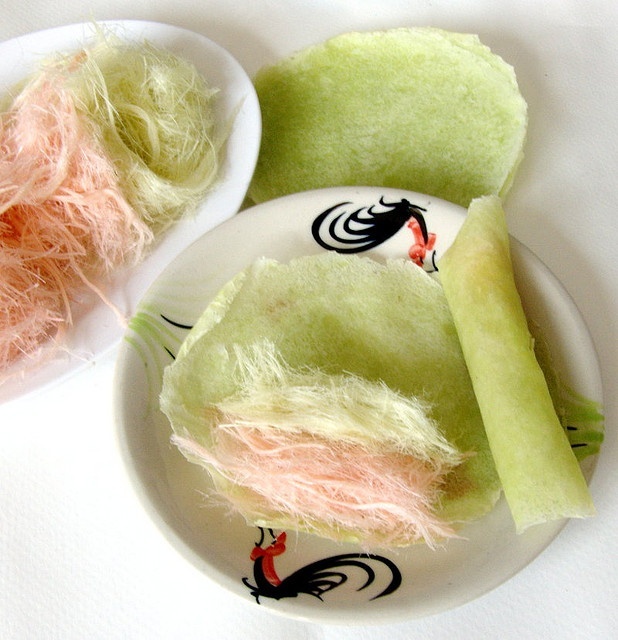 Happening from 25 May to 24 June, look out for “poke bowls”, candy floss burritos and “rainbow planet” ice-cream buns. 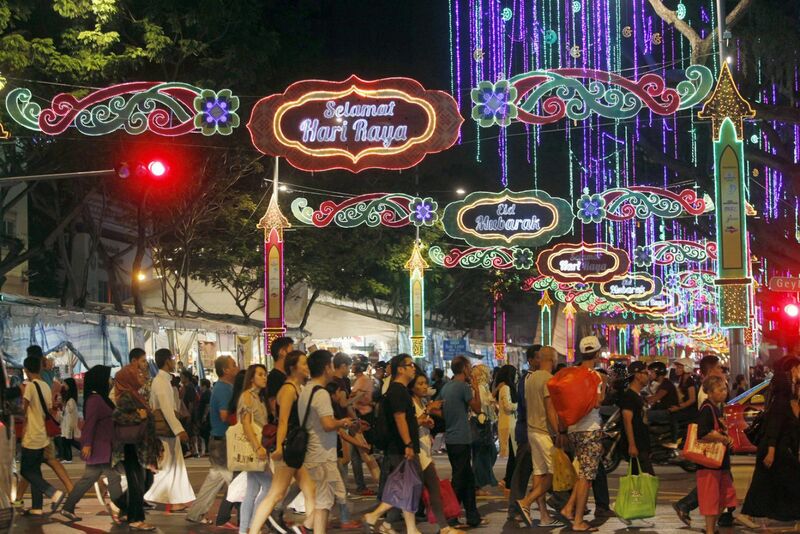 The annual bazaar spans Geylang Serai market, Joo Chiat Complex and Haig Road. Cultural performances are set to take place every weekend near Kampong Kembangan Community Club. For cultural buffs, catch free screenings of P Ramlee’s films on the big screen. If you’re a Singaporean (or foreigner) who is keen on getting their hands on some delicious eats, head on down to the Hari Raya Light-Up. Our advice? Bring that portable fan and lots of cash! Also read, DBS Marina Regatta Is Bringing The Beach To The Bay, With lululemon Workouts, Potato Head’s Coconut Bar & More!